in different fields of study for Bachelors, Masters, and Phd. 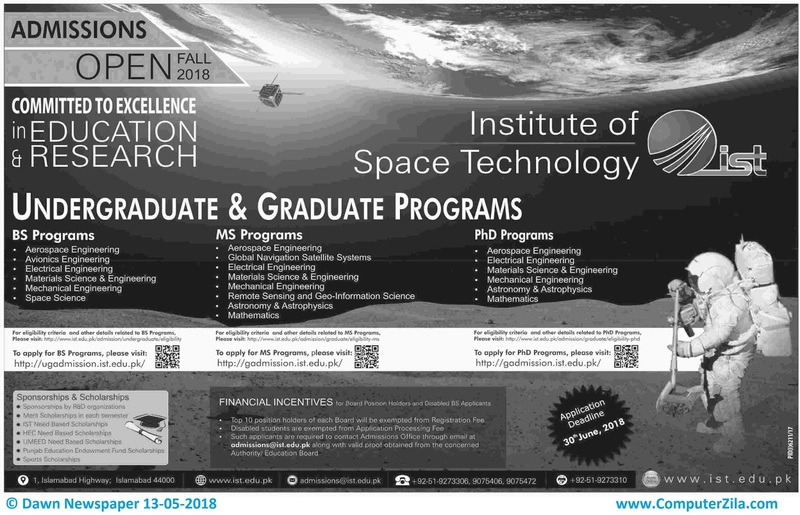 you can apply for BS - Bachelor of Science, MS - Master of Science, Phd - Doctor of Philosophy, Phd Computer Science. Sponsorship & Scholarships are also available for students from different organizations, financial incentive for Board position holders and disabled BS Applicants. University Address 1, Islamabad Highway, Islambad 44000.